The life and music of the legendary Leonard Bernstein will be celebrated with a concert of his music Tuesday (Nov. 6) at the University of Mississippi’s Gertrude C. Ford Center for the Performing Arts. Alexander Bernstein, the maestro’s son, will be in attendance, joined by guest conductor Dennis Shrock, several soloists, the Bernstein Festival Orchestra and the UM Chorus, directed by Donald Trott. Leonard Bernstein would have turned 100 years old in 2018, and the UM concert is part of a global celebration, with thousands of events planned over a two-year period to celebrate this giant composer, conductor, pianist, educator and activist. Organized by the UM Department of Music, the observance also will include two public lectures on Bernstein’s life and work. 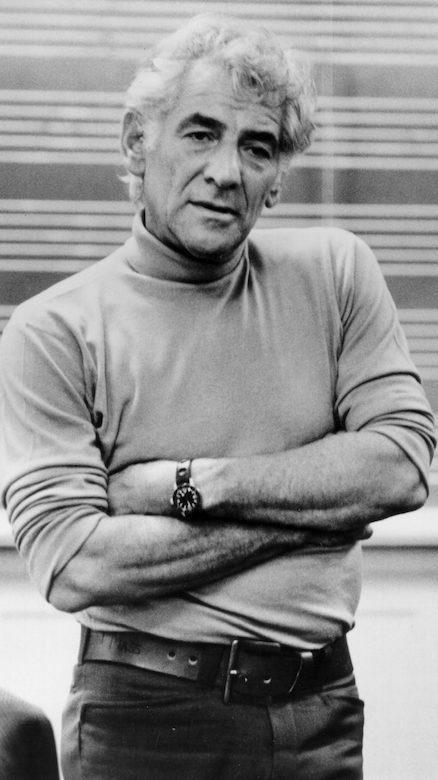 “Bernstein at 100: A Musical Celebration,” set for 7:30 p.m., includes several works, including “Chichester Psalms,” which Bernstein composed 1965 for the Chichester Cathedral in Sussex, England. The work is based on texts from Psalms 23, 100, 108 and 131. Written in three movements, it features a full orchestra, a full chorus and a boy soprano, guest soloist Emmanuel Tsao, of Memphis. “Peter Pan” was completed in 1950 and opened that same year on Broadway, but the show did not include Bernstein’s full score. In 2000, conductor Alexander Frey created a new production after finding the original full score, which included several never-performed songs, including “Dream with Me,” which will be part of the Ford Center program. Soprano Stefanie Moore, of Santa Monica, California, will sing Wendy’s role, and Bradley Robinson, UM associate professor of music, will be Captain Hook. Based on Voltaire’s novella, “Candide” was originally conceived by Lillian Hellman as a play with incidental music. Bernstein’s enthusiasm for the idea of expanding the piece into an operetta persuaded her to rework it as a libretto. Besides the concert, two related lectures will offer glimpses into Bernstein’s career. They are free and open to the public. “For our Bernstein celebration, I am thrilled that Alexander Bernstein is able to join us,” said Trott, UM director of choral activities. “He and his two sisters, Jaime and Nina, have been traveling the globe attending many, many events. Tickets for “Bernstein at 100: A Musical Celebration” are available from the UM Box Office at 662-915-7411 or https://olemissboxoffice.com/. Reserved seats range from $18 to $25 for the general public and $10 for UM students.